Wednesday night, Arlington Town Meeting voted 189-12-3 to establish a LGBTQIA+ Rainbow Commission. Dan Dunn has a brief report of the debate, because the debate was brief. No big deal. One of my first votes in Town Meeting was to establish our Human Rights Commission. Back in 1993 this was a contentious vote, with lots of ugliness entwined in hours of rhetoric. Opponents tried to gut the commission by offering an amendment to remove its subpoena powers. On the other side, proponents described several instances of some very ugly hate incidents that a Human Rights Commission could address. I remember chatting with a Town Meeting Member from Precinct 1, who had a LGBTQ son at Arlington High School, and his son was being bullied mercilessly. It was both heartbreaking and difficult to listen to what was happening, and I was seriously wondering if I made a serious mistake when I moved to Arlington. The commission was approved, and the subpoena powers remained intact. I stayed in Arlington, and I stayed in Town Meeting. Fast forward to 2017. About a month ago, I was sitting on the bench at Za, waiting for my Friday night takeout, chatting with a couple waiting for a table. The weather was unusually cold and nasty for a late March evening. I was asked if I could live anywhere, where would I live. I thought for a few seconds, thought about places with better weather, and came back home. “Arlington, Massachusetts,” I replied. This evening, I was speaking to a continuing education class, when I was asked about the significant changes to Arlington that made the town the place it is today. I went down my usual list. I talked about our move away from being a dry (moist, or humid) town and the restaurants that arrived when they could get liquor licenses. I talked about the rebuilding of our elementary schools and the Boston Globe declaration that the Brackett School was the best in the state. I mentioned the Bay Windows article that declared Arlington to be lesbian-friendly. Here’s where I got a bunch of blank stares, and I couldn’t quite articulate why the Bay Windows article was so important. Folks who lived in Arlington in the 1990s understand what I am saying, but the view from 2017 is very different. Even the view from 2004, when marriage equality became the law, was very different. Arlington was toward the top of the list of communities issuing licenses on the first possible day. Why would the Bay Windows article matter? What I didn’t say explicitly was that Bay Windows wrote the first article declaring Arlington as a welcoming community. In a town that had a reputation for being closed and insular, had a reputation for killing the Red Line extension to prevent “those people” from riding the train into town, this one article was transformative. Folks who moved to Arlington based on the article, and our changing reputation, added to our diversity; new residents embraced this welcoming spirit, and Arlington’s reputation as a great place to live blossomed. Welcoming became the norm (though not truly universal) to the point where our 189-12-3 vote to establish a LGBTQIA+ Rainbow Commission is unremarkable. What do you do in the middle of a series of February snowstorms? Sing, of course. And it looks like more snow falling down from the sky. More snow is coming our way. There’s a big crowd of folks in the milk aisle. There’s a big crowd of folks in the egg aisle. And the panicky shoppers are all overwrought. But the flight out of Logan is cancelled. T’s frozen in ice, and there’s no place to go. So we’ll stay home and wait for the melt of the snow. No planes, but lots of trains and automobiles. That was the theme for our Thanksgiving week trip to and from Florida. Even during one of the busiest travel days of the year, even on a Amtrak train that was sold out from Washington to Boston, all went well. Our travel home, on Sunday November 30, was flawless. Until we reached Harvard Square. It was shortly before 8:00 on a Sunday evening when we reached the 77 loading platform at Harvard Square. It was crowded, not a good sign. And we waited. And waited. Finally, bus 0430 arrives and everyone climbs on board. Standing room only. Fully loaded, we took off up Massachusetts Avenue toward Arlington. Less than one block from Harvard Square, bus 0710 went zipping by. It was a classic case of bus bunching, even though none of the usual causes were present. Traffic on Massachusetts Avenue was minimal. Yes, the Red Line was running no farther than Harvard, with shuttle buses to Alewife. The buses were using the Harvard busway, but that was the only thing unusual on an otherwise quiet Sunday night. All the way to Arlington Center, our crowded bus was escorted by an almost-empty companion. I wrote a few weeks ago about the bunches of buses that populated Massachusetts Avenue on a quiet Saturday. Nothing changed, and 77 buses continue to bunch on an even quieter Sunday evening. Why is this happening? I have no idea, but there is no excuse for such dramatically poor service on this bus line. 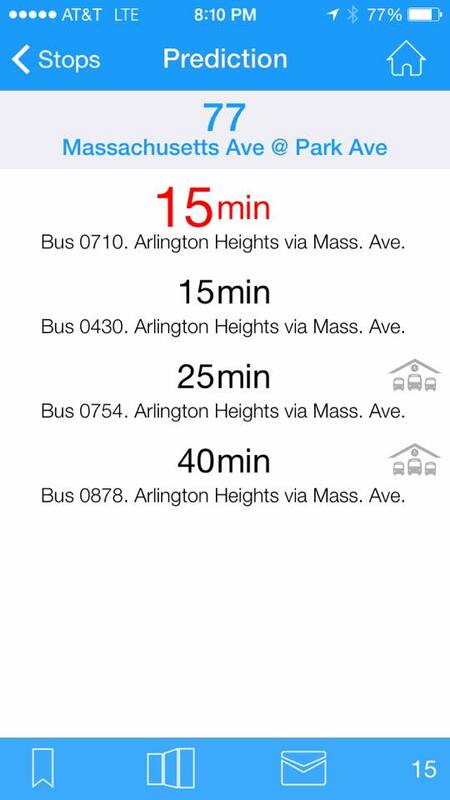 Every bus rider with a smart phone can monitor MBTA buses, and they know when the buses are bunching. 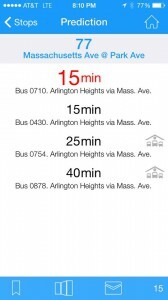 If we know the buses are bunching on quiet weekends, why doesn’t the MBTA? Or, if they know the buses are bunching, why don’t they do something about it? It seems like my life revolved around Mass. Ave. last Saturday. Between the haircut, the Saturday meeting of the Local Government Luncheon Seminar, the cleaners, and the rest of the errands, I found myself heading up and down the avenue with amazing frequency. If my life revolves around the avenue, and it’s a beautiful day, why am I driving myself up and down the avenue instead of riding a bus that is scheduled to run at no more than a ten minute interval? Wes Beal and I were heading east along Mass. Ave. near the Alewife Brook Parkway when we spotted two 77 buses heading toward Harvard Square at 12:30 p.m. “No excuses for bus bunching on a Saturday,” I remarked. Why is this a big deal? Quite simple. 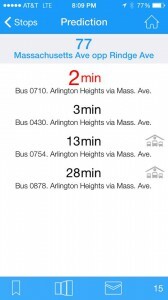 If the 77 is running on schedule, a bus will come along every ten minutes. If you ride the bus often, the average wait will be five minutes and the wait will be no more than ten minutes. When they bunch, chances are the first bus is now running 10 minutes late, so the average and maximum wait doubles, and more. Late buses mean more people waiting at bus stops, more time required to board and disembark from buses, and the bus gets later and later. Meanwhile, the next bus on the schedule zips past empty bus stops and catches the previous bus. When a 10 minute interval becomes a 0 minute interval, it creates 20+ minute gaps as well. The research literature talks of congestion and very long bus routes as major causes of bunching. The 77 does run on very congested streets during morning and evening rush hours, but this is a Saturday on a 5.25 mile route. It’s a clear and dry Saturday. But that’s not all. During the rest of the day, my trips up and down the avenue led to encounters with more bunches of buses. Bunches of people waiting at bus stops. Here’s the other three instances from Saturday, October 25. Outbound Massachusetts Avenue at Foster Street, Arlington. Inbound Massachusetts Avenue at Churchill Avenue, Cambridge. 4:51 p.m.
Outbound Massachusetts Avenue at Medford Street, Arlington. 6:35 p.m.
We have bunches of buses and bunches of people delayed by the unreliable service. The chronic unreliability of the buses encourage bigger bunches of folks to avoid the bunching buses, escaping 20+ minute waits at bus stops by driving up and down Mass. Ave.
There’s no excuse for this unreliable bus service. 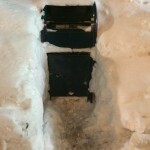 The MBTA can fix this, and it is imperative that they act. Unreliable buses are the weak link in the region’s transit system, and it doesn’t take too many 20 minute waits at a bus stop for people to give up on the T and drive instead. Arlingtonians who otherwise wish they could afford to live in Cambridge would no longer have to live that as a pipe dream – and they could become Cantabrigians without leaving their current home. Also, Arlington, which has long suffered from a lack of commercial and industrial development due to limited space, would become part of a larger city with a large industrial and commercial base, with plenty of opportunities for further development. As one person said, Arlington would suddenly gain a ton of great new bars, too. Those disgusted with small-town politics would now be part of a larger city political structure – for better or for worse. 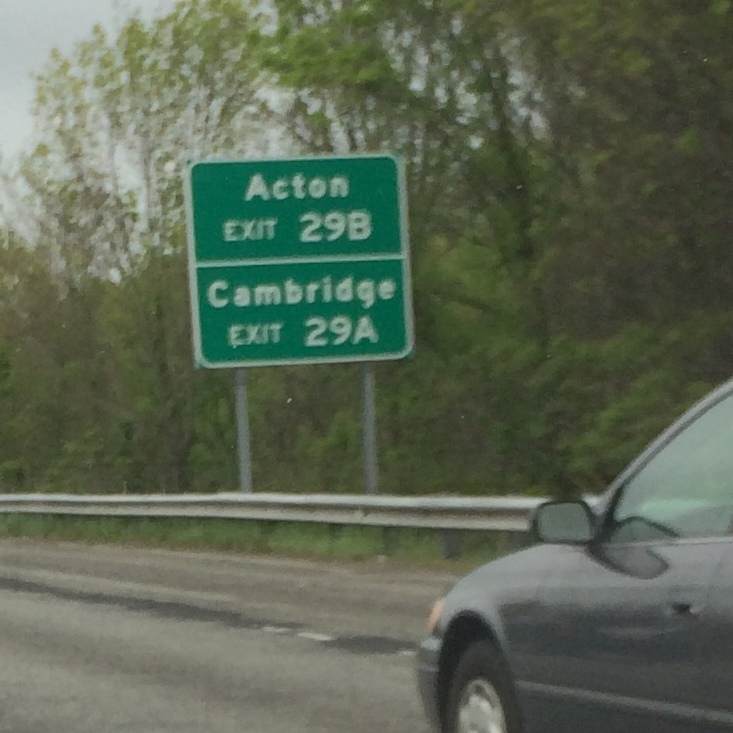 As part of Cambridge, Arlingtonians would have a lot more clout with the state on matters of education policy, etc. Arlington would also gain many more progressive voters if it became part of Cambridge. Gone would be the days of bitter divisions over overrides and petty political scuffles pitting townies against the establishment. The talk of annexation comes at a time in which I have been engaged in a question about the optimal size of a municipality. (This conversation has been one of the latest topics in the luncheon seminar on municipal governance that I hold with Wes Beal, Nawwaf Kaba, Joy Wrolson, and assorted other civic leaders on Saturdays.) In this conversation, there are two theoretical axes that are important for the delivery of municipal services. Efficiency – economy of scale. If you consider the administrative structure of a town or school system, there is a certain amount of work required to run the operation. So, if a town of 10,000 needs a town administrator, police chief, fire chief, and superintendent of schools, and a town of 20,000 needs the same infrastructure, combining two towns of 10,000 into one town of 20,000 reduces the administrative overhead of the municipality. This starts to break down when the municipality grows large enough that you need to add senior staff to manage the operation. Accountability – access to municipal leaders. In a small town, it is pretty easy to gain access to and have a meaningful conversation with municipal leaders, elected and appointed. It is relatively easy to influence local elections, either as a candidate or a supporter. The larger the municipality, the more distant the leadership. Consider the difference between the probability of having coffee with an Arlington selectman and the mayor of Boston. I think we are in a sweet spot in the accountability axis, but we are smaller than the optimal size for efficiency. How much larger can a municipality get before the greater efficiency results in a significant cost to accountability? I grew up in a municipality with a population of about 200,000, and local elections are expensive. You don’t have a connection to town leadership that you have in Arlington. Where’s the sweet spot? My theory is that the theoretical optimal size for a municipal entity is between 80,000 and 100,000. Think Newton. At about 85,000, it is large enough to be efficient but small enough to be reasonably accountable. So, being annexed by Cambridge would place us in a city with a population of 150,000, considerably above my theoretical “sweet spot.” Maybe I am wrong, but if my estimate is spot on, think about who we should be annexing. 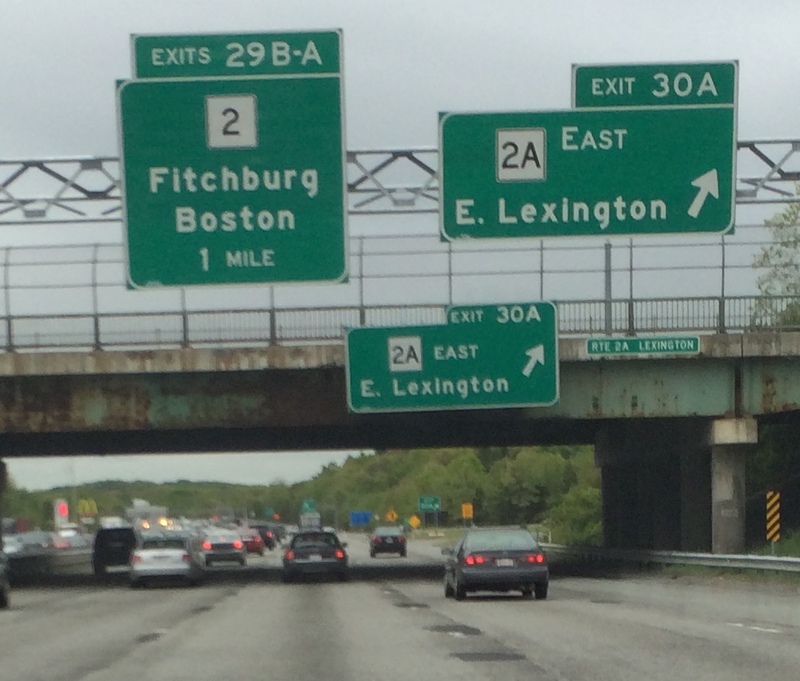 Of course, we want Lexington, as it has a really nice industrial tax base along Route 2 and 128. Arlington and Lexington combined would be an interesting municipality, and we could theoretically add Belmont or Winchester (if we want them) and not get above the 100,000 maximum of my theoretical sweet spot. So, in a nod to Kurt Fusaris, I would love to have a Cambridge parking permit, but if we want to play the annexation game, we should look to our smaller neighbors. Who should we target? Our beloved Route 128 is a part of Interstate 95, the main north-south route between Canada and Miami. For the longest time, Arlington has had a presence on I-95, with signs at a couple of exits pointing drivers to our town. 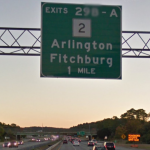 North or south, drivers on I-95 encounter this sign at Exit 29 as the way to go to Arlington. There is currently a sign replacement project on I-95, and it looks like the new signs are going to purge Arlington from the highway. The first new sign has removed Arlington and replaced it with Boston. 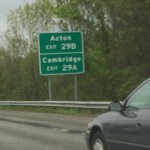 The second new sign, one of those supplemental signs which point folks to the second tier cities, lists Acton and Cambridge. 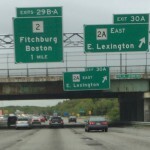 The exit for Middlesex Turnpike once listed Arlington and Burlington as destinations, but Arlington was removed when the signs were replaced. 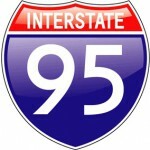 Now Arlington’s only mention on I-95 appears to be vanishing completely from the highway. It’s likely to be a move that creates confusion and unhappiness. Route 2 to Boston? Really? 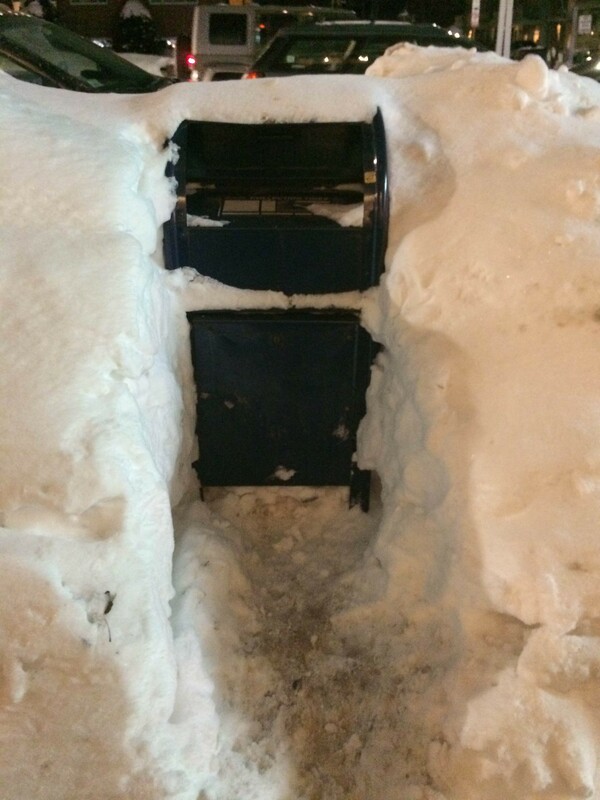 Savvy drivers know that Route 2 may go to Boston, but it’s not really the best way to get downtown. Heading east, it comes to Arlington, hits the former Alewife rotary, and descends into gridlock from there. 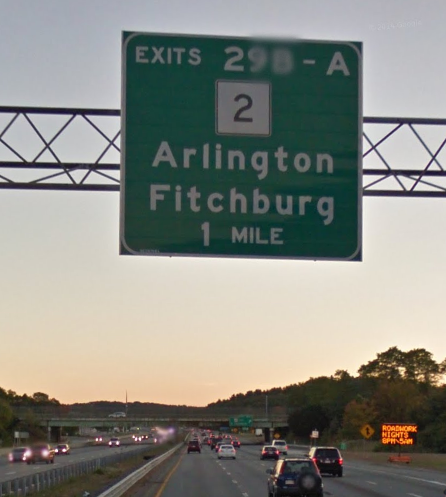 So, MassDOT, how come Arlington is vanishing from the highway signs? 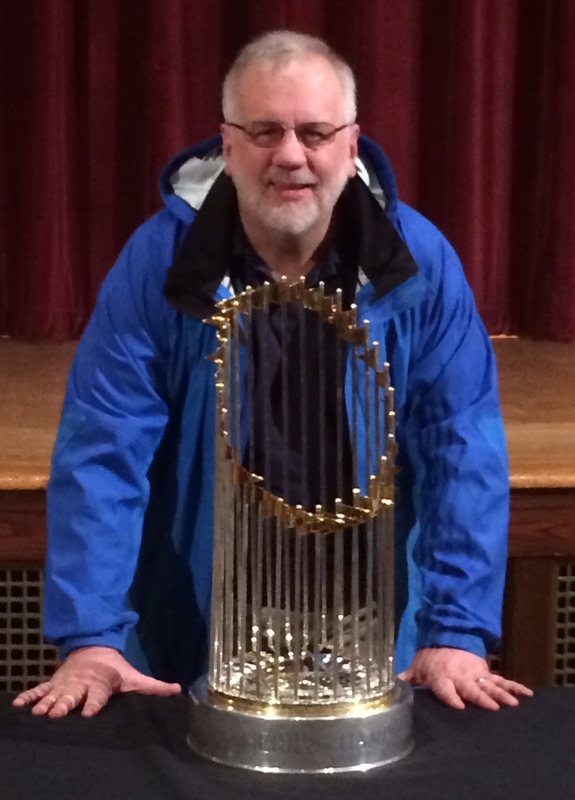 Just one week from the annual town election, and two short days before the start of baseball season, the Boston Red Sox 2013 World Series trophy was on display at Arlington Town Hall. Let’s hope it is a harbinger of really great things to come!